The G-Force of Magnetic Night; Self-Existing Skywalker, coded a 6.4 earthquake here in the South Island, 10 days ago. That day, Rhythmic 24, indicated 19.13 in three different ways: The Mayan Tzolkin kin: 9 World-Bridger, and the Dreamspell Kin equaled 19.13 [6.9 plus 13.4 = 19.13]. The G-Force of 4 Skywalker is Kin 39: Cosmic Storm, and, it was the 19th day of the 13th Haab. The Postulate for Kin 39 [3 x 13] is: 19.13: All is number God is a number. God is in all.” When this Earthquake was later downgraded to a 6.0, it served as a reminder that the 6th Rhythmic Hand Moon was the only Moon [since 2013 and The Mystery Queen began 70 Moons ago] to have 0 blogs. In the Cosmic Turtle Calendar, the totem for the 6th Moon is the Horse, whose Rhythmic transport has served humanity for millenium. The significance of the Horse has long been heralded by it’s depiction upon English hillsides. The Uffington White Horse is 3,000 years old, and like the sabbatical-based Cosmic Turtle Calendar, it was renewed every 7 years: “Until the late 19th century the Uffington White Horse was scoured every seven years as part of a more general local fair held on the hill.” And, “Of the thirteen white horses known to have existed in Wiltshire, eight are still visible“. Most of these locations have attracted crop circles [‘inter-dimensional signals‘ per Valum Votan], further underscoring the significance of the Horse on many levels. 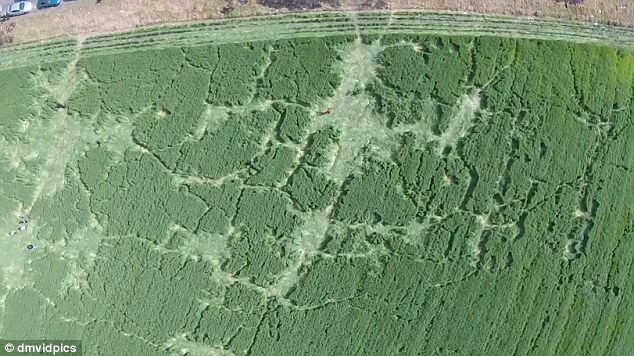 I was studying crop circles long before several appeared 20 miles from my home, in 2003 and 2004, yet I was amazed today to realize that the vast majority of crop circles appear at the sites of horses engraved into the English countryside! I look forward to riding horses in Vilcabamba, where they are the primary mode of transportation [along with walking] 🙂 The 6th Rhythmic Moon of Equality always contains the beginning of a new Gregorian year. New Zealand::Aotearoa, is the first land to see the light of each new day and each New Year. The Gregorian New Year’s Day might be the most widely observed holiday in the world. The Gregorian Calendar dictating the 12:60 program began relatively recently [after the Tomb of Pacal Votan warned Humanity of the artificial frequency of the 12 irregular months] and it has become deeply entrenched in our psyches and societies. On the 207th day of 2015, the Cosmic Turtle Calendar and the ‘official 13 Moon Calendar’ will both begin a New 13 Moon Year on D: GAP 114: Planetary Wizard, M: 2 Hand. July 26, 2015 is on a Sunday, and each Year, Week and Moon of the Cosmic Turtle Calendar begin on Sunday, in perpetuity. For 218 days, the two 13 Moon Calendars will be synchronized with each other, until Leap Day [1/29/2016]. Unlike the Cosmic Turtle Calendar and the Mayan Tzolkin, the official 13 Moon Calendar and the Dreamspell Tzolkin do not count Leap Day. The Mayan defined a Kin/Day as a 24 hour alternation of Day and Night and the current official 13 Moon system ignores five Day/Kin every four years, in order to remain aligned with the Gregorian Calendar. The Cosmic Turtle Calendar is aligned with the perpetual 7 day week::28 Day Moon, which reflects the cycles of the Moon and Women, by which Humans tracked time, long before the 13 Moons were chopped into 12 irregular months. Today’s Mayan Kin: 7 Earth signifies the Mayan Lord 7 Earth at the ‘Heart of the Earth‘. Oceania, in the Human zone of Earth’s Holon is the first land to see the light, and Ecuador, in the Human zone is the land of equal Night and Day. Ecuador is consistently “Attuned” with the 4 quarters of the day: the Sun always dawns at 6:00, when the Guide watch of each day begins, and the Hidden Power watch always begins as the Sun sets at 18:00. 13 days ago, it was reported that “On Sept. 14, 2013, Haggard and her team detected an X-ray flare from Sgr A* 400 times brighter than its usual, quiet state. The super-massive black hole at the center of our galaxy, called Sagittarius A*, or Sgr A*, is estimated to contain about 4.5 million times the mass of our sun. 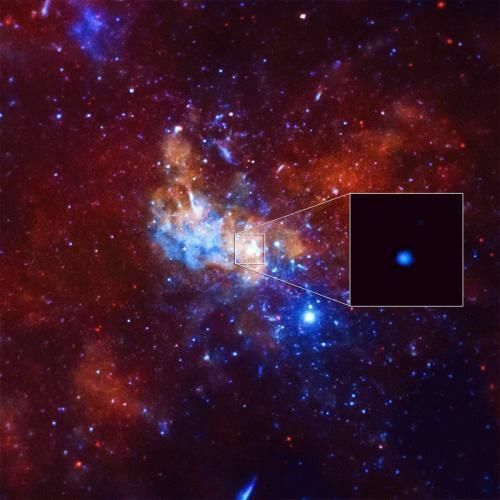 It’s interesting that the largest ever x-ray flare from the heart of our galaxy occurred on the Long Count date of 0.0.0.13.7 🙂 http://www.sott.net/article/291021-NASAs-Chandra-Observatory-detects-largest-X-ray-flare-ever-from-Milky-Ways-black-hole Earth is now encountering a celestial event closer to home, as we move through a particularly dense part of the remnants of Maldek a.k.a. The Asteroid Belt, during the 6th. 7th and 8th Moons. This article [also written 13 days ago] reports an “army of asteroids” heading our way. http://www.whatdoesitmean.com/index1829.htm It also claims that, like the beautiful and beautifully-named Comet: LOVEJOY, [named after Australian Terry Lovejoy], they seem to be intelligently directed! Comet LOVEJOY on Jan. 8 ” “The whole thing stretches more than 7 million km from end to end.” On Jan. 7th, Comet Lovejoy was at its closest to Earth: 0.47 astronomical units (70 million km) away. Although the comet will be moving away from us for the rest of the month, it will continue to grow in brightness because it is still moving closer to the sun. The number 7 occurs several times in these articles, during this 7th Moon 🙂 http://www.dailymail.co.uk/news/article-2890175/Aliens-students-chupacabra-Hundreds-flock-Mexican-barley-field-bizarre-crop-circles-materialise-overnight.html “Thousands of people have flocked to a Mexican city where crop circles spanning seven-hectares appeared on Christmas Eve” This unexplained formation appeared overnight in the land of the Mayans, less than 19 kilometers from Teotihuacan and its Temple of the Sun, where Jose Arguelles was anointed as Valum Votan, the “Closer of the Cycle” . As predicted, so much is unfolding on so many levels, in our solar system and planet, since the Mayan cycle ended on December 22, 2012. This 7th Resonant Moon of Attunement, the 13 Moon equivalent of the 7th mystic channel of the Tzolkin, is a most appropriate time to step away from technology and become more attuned with Spirit and Nature. The Cosmic Turtle Calendar‘s totem for the 7th Resonant Moon is the Dolphin, who strongly resonates with Humans. 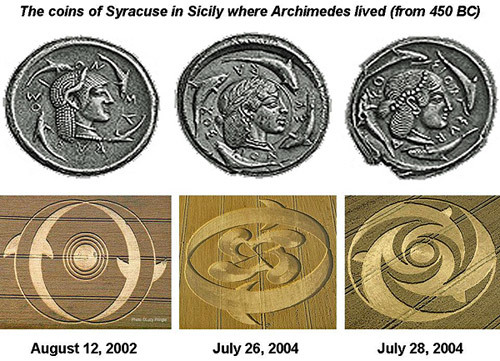 Dolphins were represented on ancient coins and in these 3 crop circles. Magically and appropriately, Ecuador, the ‘Heart of the Earth‘, has Pink Dolphins! Several Kin are resonating with the idea of visiting or even moving to Ecuador, where 13:20 Natural Time is more prevalent, and living close to Nature is easier and so tempting. Perhaps the Resonant Dolphins in the heart of Ecuador’s Rainforest will beckon you also!